AppleCast is a registered charity based in Newburgh near Wigan. 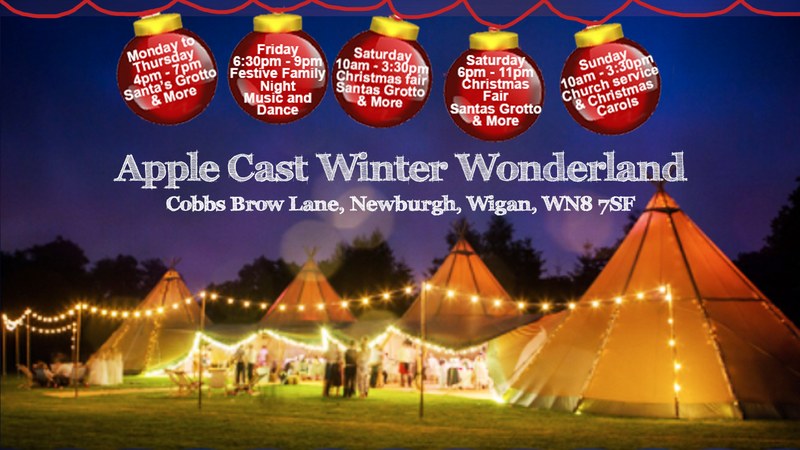 We are holding our first ever fundraising Christmas festival during the week -Monday 10th December to Sunday 16th December. It will be a full week of different activities and we hope that everyone will visit to help us raise money for children and adults with mental health issues and other disabilities. Saturday 15th December 6.30pm til 11.00pm Adults only barn Dance hosted by the Hole in the Wall band. Tickets are £15 each. If you are a small craft or home business and would like a stall at the Christmas fair then please call us.